Printouts are often unclaimed and misplaced. Piles of unclaimed printouts are easily found at work. Misplaced or unclaimed printouts present a significant challenge to organizations, since they can lead to unintended consequences – loss of information and increased costs. Information loss, whether accidental or deliberate, can lead to fines and legal challenges. Increase in print cost can eat away overall IT budget. 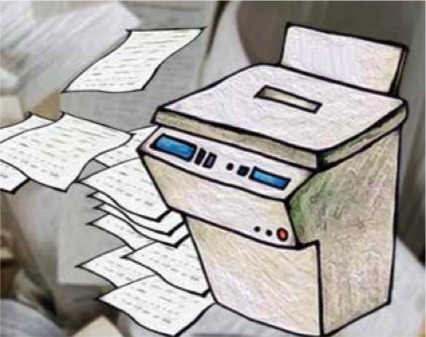 Print-reliant businesses such as hospital, clinic, consult- ing, tax and legal offices or any other knowledge-based businesses with high print volumes should take control over printouts and printing practices to improve information security, print budget and regulatory compliance.